Apple today released iBooks to version 3.2, releasing a brand new user interface tailored for iOS 7. iBooks had long been Apple’s “poster child” for skeuomorphism, as it mimicked the design of a physical book. 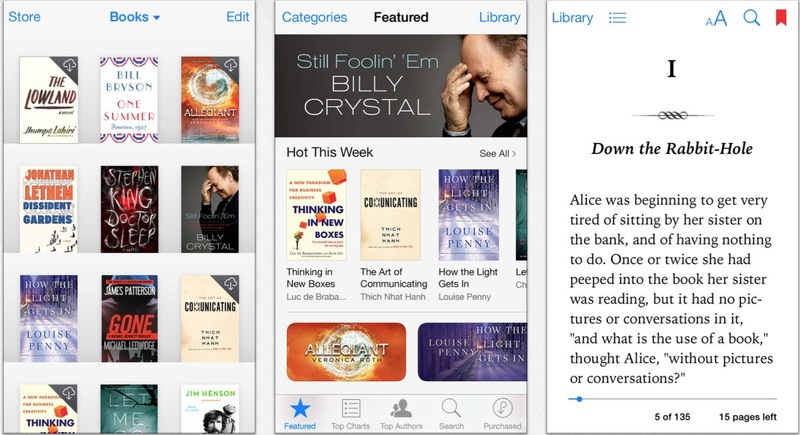 With the newest update, iBooks is completely redesigned with an iOS 7 optimized design. This includes a flat user interface. Apple also released an updated version of iTunes U, implementing a flat new user interface for iOS 7. These two apps, known as Apple’s education apps were among the last Apple apps to be updated. Nevertheless, Fond My Friends has still not been updated, retaining it’s original iOS 6 design. Overall, the new design changes bring the much needed iOS 7 UI to the table. Thanks, we’re really pleased to hear that! !